Hey guys! I wanted to get this unboxing of the Avon The Magic Of Pearls A Box* up because it's such a gorgeous little box and I'm pretty sure it's actually still available! I was also really excited to share this box because there is one product in it that I am over the moon super excited to share with you guys. From first swatch, I knew that I was going to use this product for something other than what it is intended for - and it works beautifully. Curious yet? Keep reading to see what's inside this box! Described as "Luminous and Luxurious", this box clearly has a whole pearly theme to it. The box itself is probably the prettiest of all of the Avon A Boxes that I've received so far. It's just... right up my alley with the monochrome grey and white packaging covered in pearls. So pretty! This smells quite pretty and is what I'd call a floral that doesn't smell like your Nana. Know what I mean? I really think this is a nice, light, pretty scent. You guys. YOU GUYS. I swatched this and I pretty much instantly knew that I needed to put it on my face as a highlighter and it's so effing pretty. It's really light, so my fellow fair girls are the ones who are probably going to love this the most, and it gives such a subtle, pretty, lit-from-within glow. I'm instantly obsessed with it. There's something about this mirror that feels really vintage and I think it's really pretty to toss in your purse for touch ups. Also, it's slim and smooth so it's not going to be bulky or awkward. Pretty! Haven't tried this out yet, but I'm actually a pretty big fan of Avon nail polishes in general so I'm really looking forward to testing this out. I think it'll make a good nail art base for my purposes. I'm glad they included a skin care product in this box that I've never tried before, so I'm looking forward to trying it out. Overall, I really do think this is a pretty great little box - especially for $10 with a $40 purchase. Honestly, at this point, I think I'd have paid the $10 just for the eyeshadow single turned highlighter. Are you unfamiliar with the Avon A Boxes? Basically, all you have to do is spend $40 and you have the option to pick up the A Box for $10. It's similar to a subscription service in that you get a curated selection of full and travel sized products, but there's no subscription and, of course, you do need to make the initial $40 purchase. 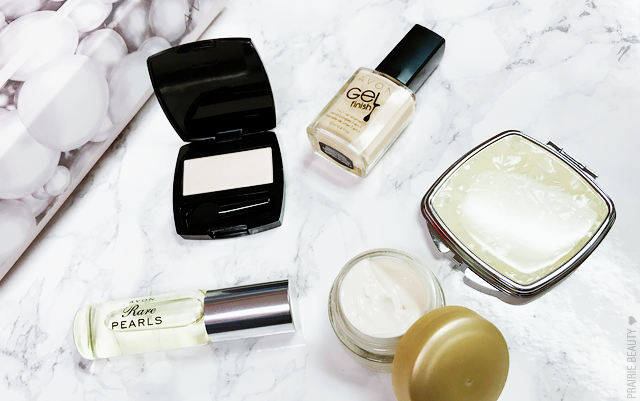 I, of course, love them because it gives me a chance to try out new or new-to-me products in smaller sizes. 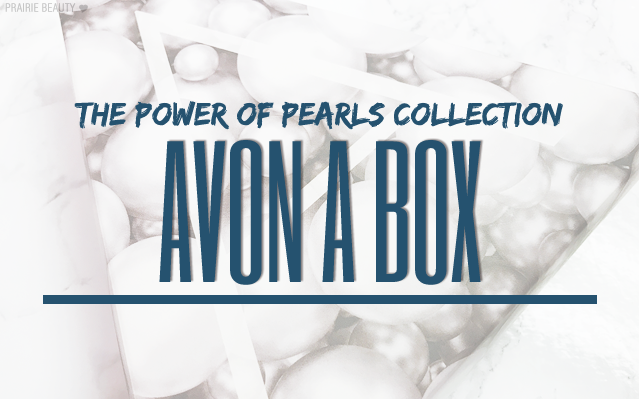 The Avon The Magic Of Pearls Collection A Box* is available now and it gets two thumbs up from me. Contact your local Avon representative for more info and to order.